The Standard at 2690 Apartments has a Walk Score of 38 out of 100. This location is a Car-Dependent neighborhood so most errands require a car. Experience the difference at The Standard at 2690. Located in the heart of Clearwater, FL and just moments from the gulf beaches, we are the premier address for great Florida living. Adjacent to HWY 19, our East Clearwater location puts whatever you desire well within reach. With fresh and modern homes, an unbeatable location, plus professional on-site management and maintenance - The Standard at 2690 truly rises above the rest.Our newly renovated homes feature open-concept layouts and upgraded fixtures and finishes throughout. At The Standard at 2690 you'll also enjoy ample closet and storage space, private patios, floor-to-ceiling windows, vaulted ceilings with skylights, and a kitchen pantry in your new home. We have multiple 1, 2 and 3-bedroom floorplan options, plus bi-level townhomes available. Our community is pet-friendly and we accept large dogs, with no weight restrictions! Come check out our brand new clubhouse and fitness center, plus all other new amenities! Explore how far you can travel by car, bus, bike and foot from The Standard at 2690 Apartments. The Standard at 2690 Apartments has some transit which means a few nearby public transportation options. 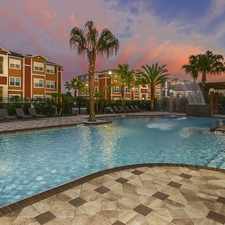 The Standard at 2690 Apartments is in the city of Clearwater, FL. Clearwater has an average Walk Score of 43 and has 107,685 residents. Great 3/2 Home W/ Updated Kitchen!